CoD fans, get ready to drool over these three new high resolution screenshots. Although the game’s trailer was underwhelming, these new screenshots look promising. 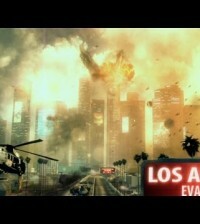 CoD: MW3 promises destructible environment and to be bigger, better and more polished than before. The game will be released on November 8th for PC, X360 and PS3. This year’s FPS military battle will be massive. Enjoy the screenshots after the jump. The pic MW3-Gas-mask is so niceee, like COD4. omg f***** Awesome!